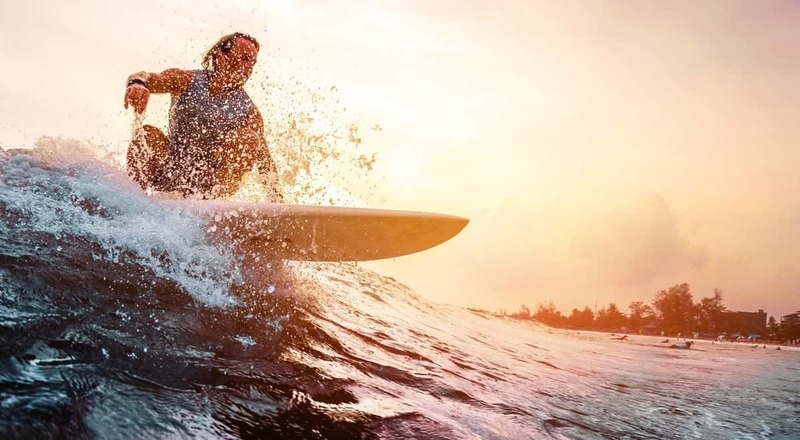 Are you one of the 35 million surfers in the world? If so, you are probably looking for some new spots. Florida has a coastline that stretches for 8,436 miles boasting waves for beginner surfers to the most experienced of surfers. Ready to ride some waves and check out all the beach bodies? Click here to check out the top surf spots in Florida. Sebastian Inlet has three miles of gorgeous beach and is a prime spot to surf. Located on the Space Coast, Sebastian Inlet is a beautiful barrier island where the Indian River Lagoon and the Atlantic Ocean. Feel adventurous? Check out Monster Hole that can create a solid 10 feet of surf. The north side is not as rocky, so don’t let the rocks scare you. World Surfing Champ Kelly Slater grew up learning the sport at this spot. Check out the 13-mile stretch of sandy white beach on the Atlantic coast at New Smyrna Beach. You can actually drive on the beach to catch your waves or walk down if you prefer. The fast current produces decent waves. Ride the north swell’s incoming tide with the offshore winds. One warning—New Smyrna Beach has a telltale nickname of The Shark Bite Capital of the World, so watch out for those locals! The waves are some of the most consistent in the state. Load up the surfboard and can practice all your tricks at this surfer’s paradise. Want to go more south? Well, grab the board and gear and go to southern South Beach. Check out South Point Park right before you hit the pier. This is where the waves are the strongest. Want to add to your adventure? Fish on the pier or take a couple hour drive to the south after a long day surfing to enjoy one of the fabulous Key West restaurants. St. Augustine is America’s oldest city. Did you know it also has one of the oldest surf scenes in the country? The waves may not be as big as others in the Atlantic, but the surf community is tight-knit. You can learn a few tricks from fellow surfers. Try out some other water sports while you are there. Pompano Beach is near Fort Lauderdale and offers consistent waves on a radiant coastline. This is a very popular spot for surfers. The swells can range from three feet up to eight feet. This makes Pompano Beach a great spot for surfers of all skill levels. You can find just about any size wave you want. Need gear? Not a problem—check out 2nd St. Surf Shop across the street from the beach. You now know what surf spots in Florida to check out whether you are just a beginner or an experienced surfer. Want more travel advice to prepare for your surfing adventure? Visit our site for more tips on your trip to Florida like how to deal with travel anxiety.